With unprecedented access and research, NAE PASARAN! reveals for the first time the incredible impact made by Scottish factory workers 40 years ago against one of the most repressive dictatorships of the 20th century.40 years after their defiant stand in protest against Pinochet’s Air Force in Chile, Scottish pensioners discover the dramatic consequences of their solidarity. Felipe Bustos Sierra’s feature charts the incredible true story of the Scots who managed to ground half of Chile’s Air Force, from the other side of the world, in the longest single act of solidarity against Pinochet’s brutal dictatorship. In 1974 a group of workers at the Rolls Royce factory in East Kilbride showed their support for the people of Chile by refusing to carry out the vital repairs of engines for Hawker Hunter planes, which had been used during the brutal military coup in September 1973. The boycott endured for four years but the Scottish workers never knew what impact they had; it was a matter of conscience and an act of solidarity. Bustos Sierra – himself the Scotland-based son of a Chilean exile – reunites inspirational figures Bob Fulton, Robert Somerville, Stuart Barrie and John Keenan to hear their story. 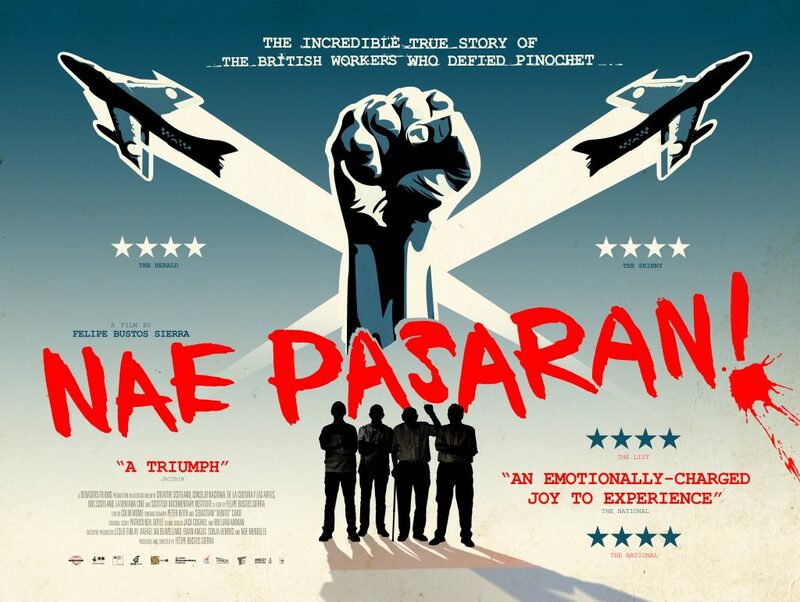 With unprecedented access, Nae Pasaran also ventures much further to detail the horrors of the Pinochet years, meets survivors of the period and hears the Chilean side of the story.